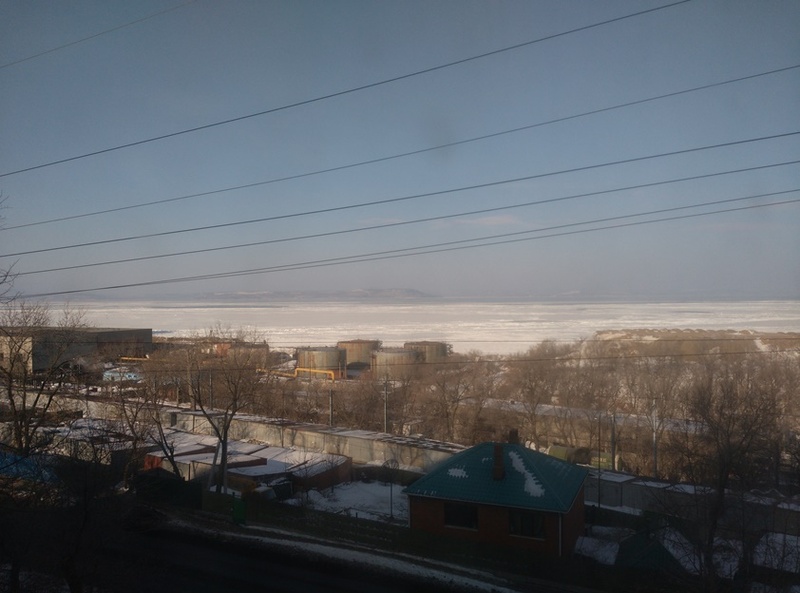 After a few months of preparation and paperwork, I finally said goodbye to Scotland and flew out to Vladivostok on the 26th of December for a 5.5 month stay. It took almost a day and three flights to get there, and on the 27th I touched down in the city and headed to my accomodation at the university. 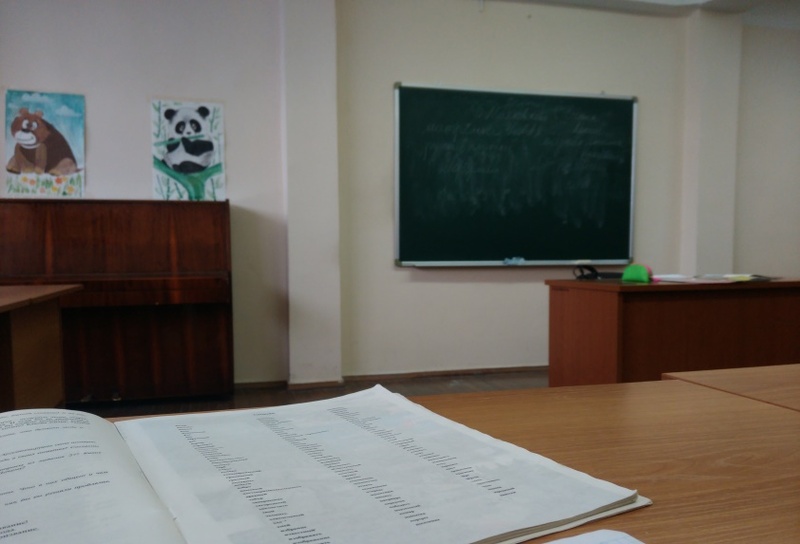 My stay here is for two reasons: the first is to take Russian language lessons at the Far Eastern Federal University (FEFU), or Дальневосточный федеральный университет (ДВФУ) as it’s written in Russian, and the second reason is to later do research and fieldwork for my PhD. Some of you may already know that the university was moved onto Russkiy Island over the past couple of years to take advantage of the facilities built for the 2012 APEC conference, but there are still a couple of departments located in the centre of the city, one of which is the Centre for Russian Language and Culture. 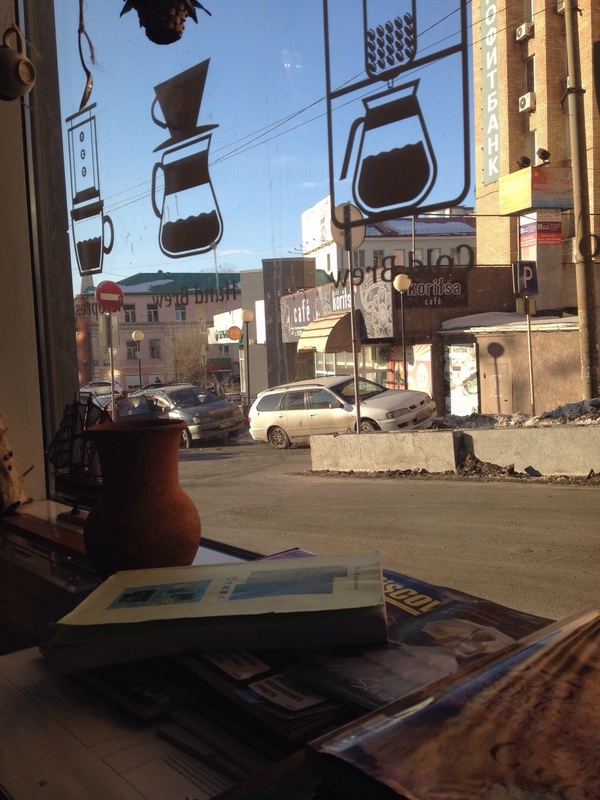 This is where I’ll be taking language lessons, and for now at least I’m staying in the obshezhite attached to the language centre. 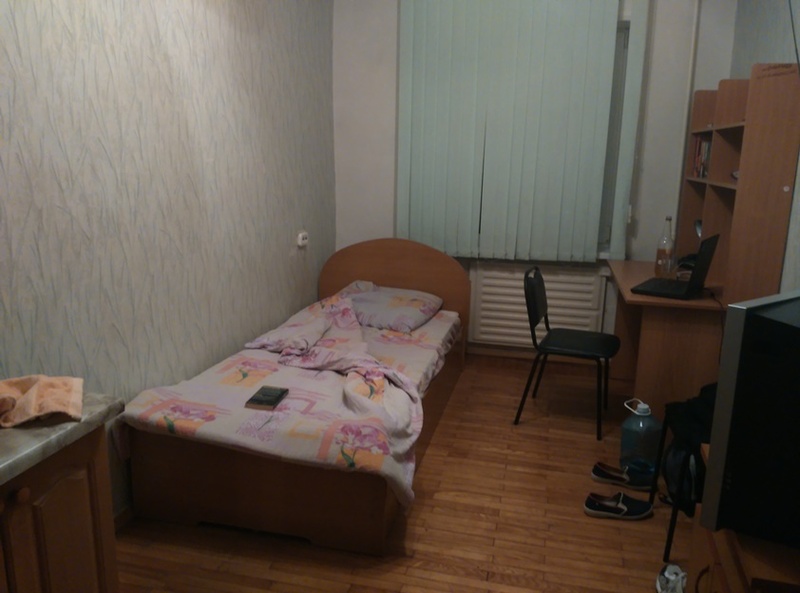 The dorm is home to all the foreign students taking language lessons, so compared to the traditional image of a Russian dorm the standards are a bit higher, as you can see from my room in the pictures below. 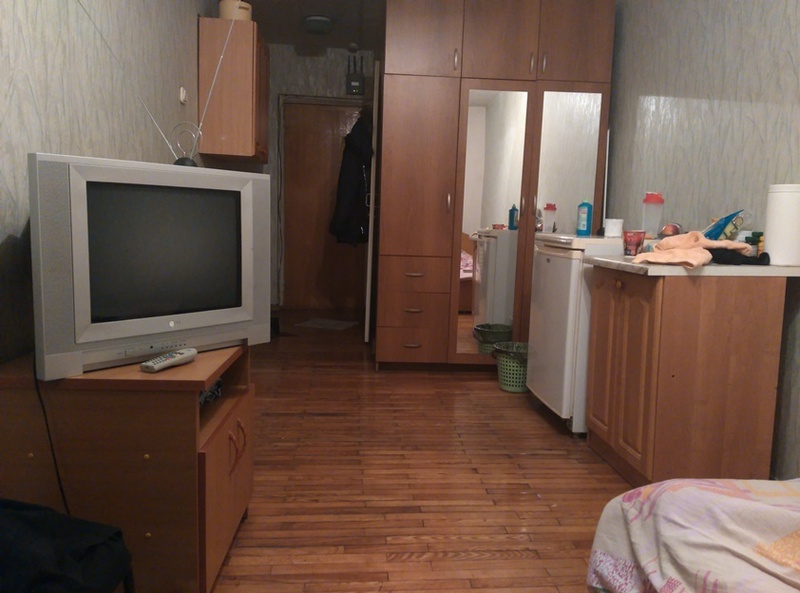 I’ve got a room to myself with my own bathroom, fridge and TV; the furnishings are a bit below that of the campus on Russkiy Island, but it’s still comfortable enough. For those curious about the cost of lessons, accomodation, visa, insurance etc at the university until mid-June, it comes to about 130,000 rubles all in, give or take a few thousand depending on circumstances. First world problems, I know, but the most frustrating part of staying in the city centre is the admin side of things. Almost anything important has to be done at the offices on Russkiy Island, but only one bus goes there three times an hour. You take an hour’s journey, spend five minutes paying a bill (if you’re lucky, as they have two cash desks for the entire university) or getting yourself registered, and then an hour back. I’ve no idea why they can’t deal with the admin here, most of it is on their computer system, so it’s really a waste of an afternoon. Most of the students here are from China, Japan and South Korea, but you get a few students like myself from further afield, and I’ve heard there are a few North Korean students as well. The school itself looks a bit spartan from the outset, and some of the textbooks were either written in the Soviet era or early in the 90s. It shouldn’t make too much difference as long as the lessons are effective, but I’ll tell you when I leave if my Russian language benefitted from the old-school feel. In saying that, they do have wi-fi throughout the building, modern audio-visual equipment and even a free gym, so it’s not all old. There’s a small cafe on one of the floors, though I generally make my own meals so I haven’t tried it. I get on average 3 hours of instruction a day, and with the classes being held in the same large building as the dorm you don’t have to go far. In general it’s self-contained and you even get a view out onto the sea from the rooms. And what of the city itself? Not much has changed since the summer. You can walk down the high streets, see modern buildings and nice interiors, then turn into a street and see plenty that is in need of repair. The Asian presence in the city is perhaps more obvious now that I’ve been here longer, from the long-standing connections with the Japanese second-hand car industry, the availability of food and drink from East Asia (especially beer, sauces and instant noodles), and the Chinese market at Sportivnaya selling fresh foods and domestic goods. The only thing I couldn’t find was a decent wok, which was a real disappointment. There are plenty of Chinese and Korean restaurants dotted around the city, and a complete absence of more famous fast-food and beer outlets such as McDonalds, KFC/Rostiks, Burger King, Teremok, Kroshka Kartoshka and Kruzhka. Republic is probably the closest thing to a chain cafe/bar in the city. Prices have apparently risen a few percentage points in the last few months, though as a foreign student being paid in pounds, it’s not something I really have to worry about. Off the top of my head, I can get a kg of chicken drumsticks for about 250 rubles, standard Russian cheese for about 520 rubles a kg, 500ml of natural yoghurt for about 65 rubles, sukhariki for about 20 rubles, brocolli at about 80 rubles a kg, 6 jazz apples for about 150 rubles…and so on. On the other hand, I’ve seen 2 more exotic fruits for several hundred rubles, and an imported beer from Scotland is about 280 rubles, so if you want foreign goods you’re going to have to pay through the teeth for them. These are supermarket prices by the way, so it’s likely you can get everyday goods slightly cheaper in smaller outlets or in markets. I’ve not spoken too much with people about the economy or political issues. With the holiday period and then getting settled into the routine of classes, I’ve been taking it easy. It does seem like people are a bit more concerned about how they spend their money compared to six months ago though, and a few have mentioned they won’t be going abroad on holiday now. 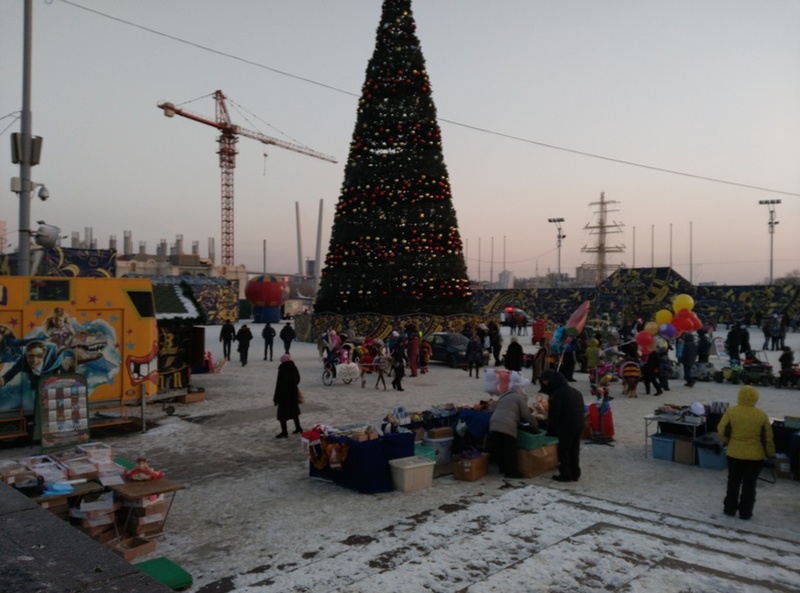 With the ruble weakening and prices for the holidays almost doubling in many cases, it’s simply too much for many to afford. I’ve barely heard a comment about the civil war in Ukraine. There’s still a desire to move away to Europe or the USA, one person I knew here even decided on a whim to just leave and move to St. Petersburg to try their luck after they lost their job. In short, first impressions are that the government’s dream of a Russian economic stronghold in the East is not yet threatening to turn into a reality. This entry was tagged Владивосток, ДВФУ, Дальний Восток России, Россия, Русский Остров, FEFU, Russia, Russian Far East, Russkiy Island, Vladivostok. Bookmark the permalink.